It’s still going, more or less. 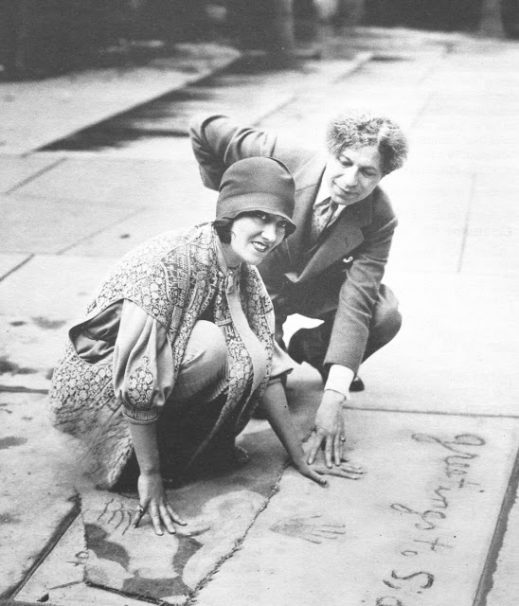 The quaint tradition begun by showman Sid Grauman at his Chinese Theatre (which by some miracle, still stands): hands, feet, and autographs plonked into a square of still-wet cement. 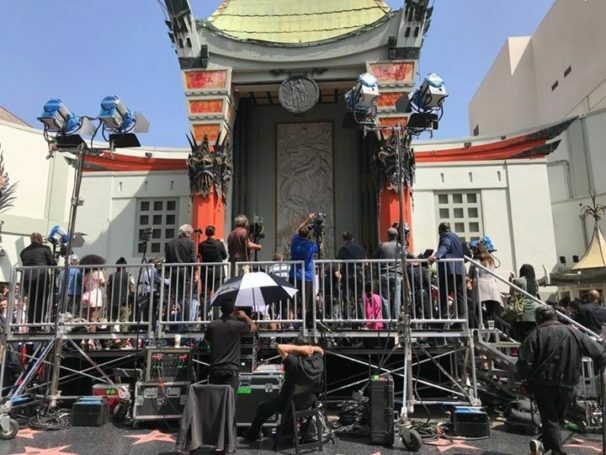 The photo above was taken from across Hollywood Boulevard looking toward the footprint ceremony for Cicely Tyson at TCM Fest 2018. Lost in a monstrous tangle of equipment and fence-barriers, Tyson joined the ranks of legendary names of the silver screen. Unfortunately in the process, the precious Grauman’s Chinese (now the TCL Chinese Theatre) is dwarfed and overrun by crud. 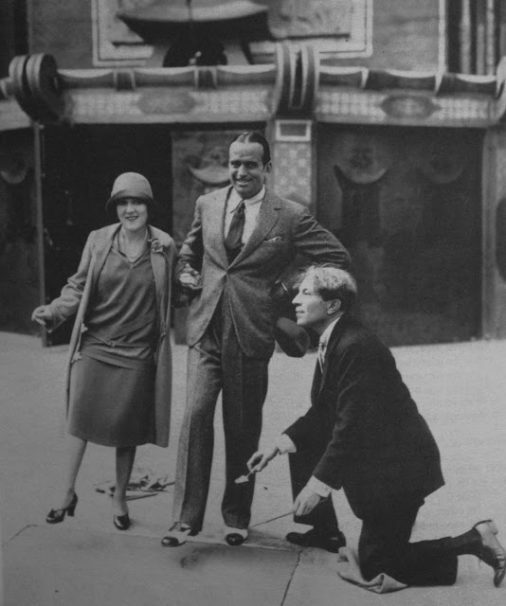 A very far cry from days of yore when fans got up close and personal with their favorite movie stars. I had to wonder how TCM host, the late Robert Osborne, would have liked this sight. My guess? Very little. 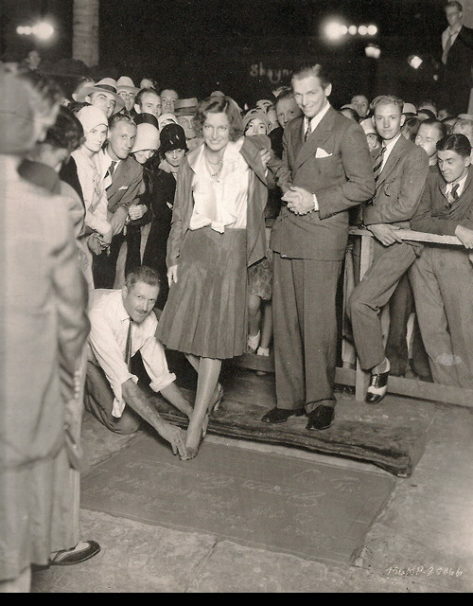 Joan Crawford accompanied by husband Douglas Fairbanks Jr.
olderAin’t there anyone here for love? Ladies, let’s do this!